This week we are featuring Ashlee Smith. 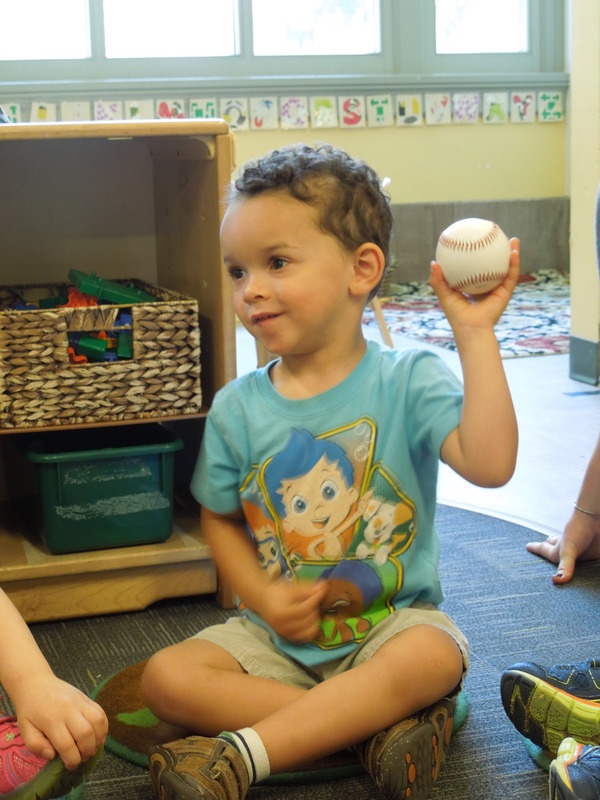 Her two year old classroom was learning about baseball and decided to spend the day learning about what’s inside the ball. 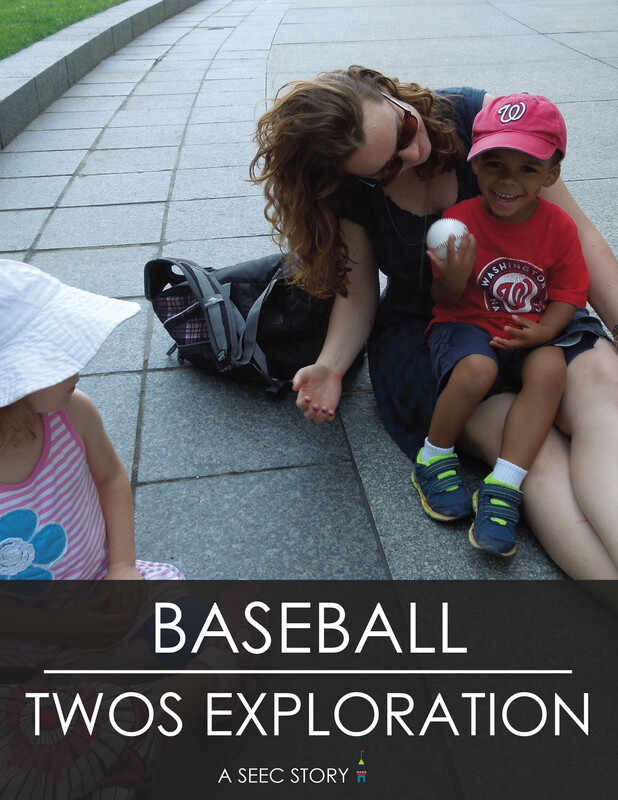 Below you will find a reflection from Ashlee and images from her lesson on baseball. What were your topics of exploration? The Fireflies have been exploring baseball all summer. During this week, we talked about the baseball itself. We explored what a baseball looks like from the inside out and how it is made. We talked about how all baseballs (MLB) have to be the same size and weight and that baseballs are still hand-stitched. 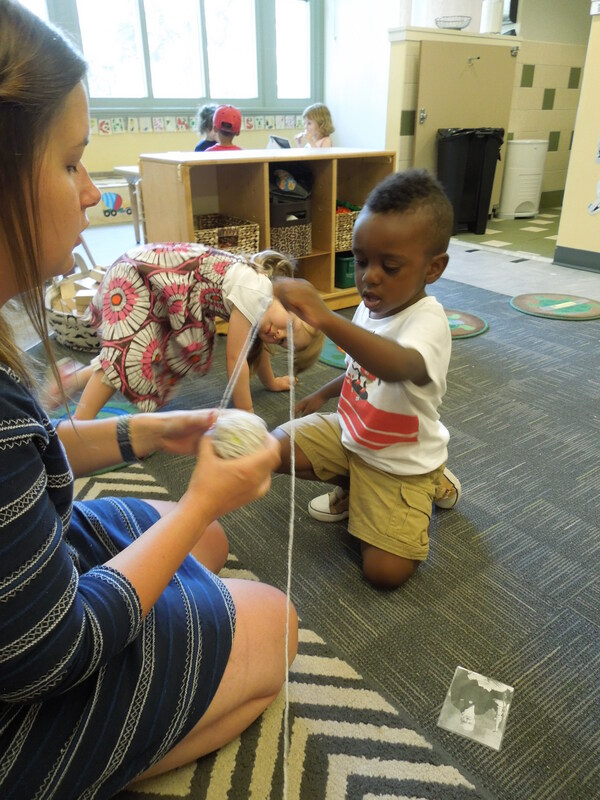 I wanted the group to understand the materials used to make baseballs and provide them with the opportunity to explore textures of the materials found inside (yarn, string, and cork). I also wanted them to think critically about the shape and weight of the ball, exploring questions such as: “what other known objects are spheres?” and “why is the baseball the weight that it is?” Through the baseball lesson, I was also able to introduce the group to Alexander Cartwright (the proclaimed father of baseball). What was most successful about your lesson? 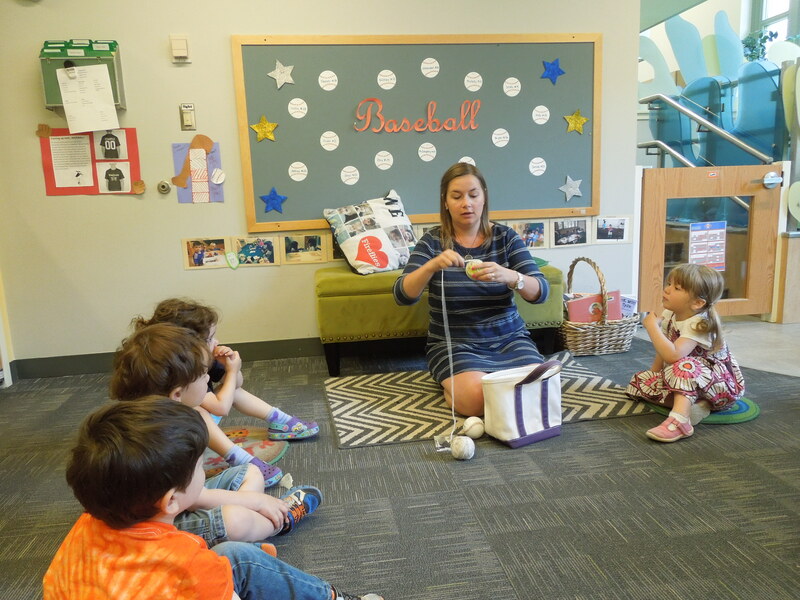 I invited each child to help me create our own baseball with a cork, yarn and rubber. They really enjoyed the experience of using the materials to create a ball of our own. 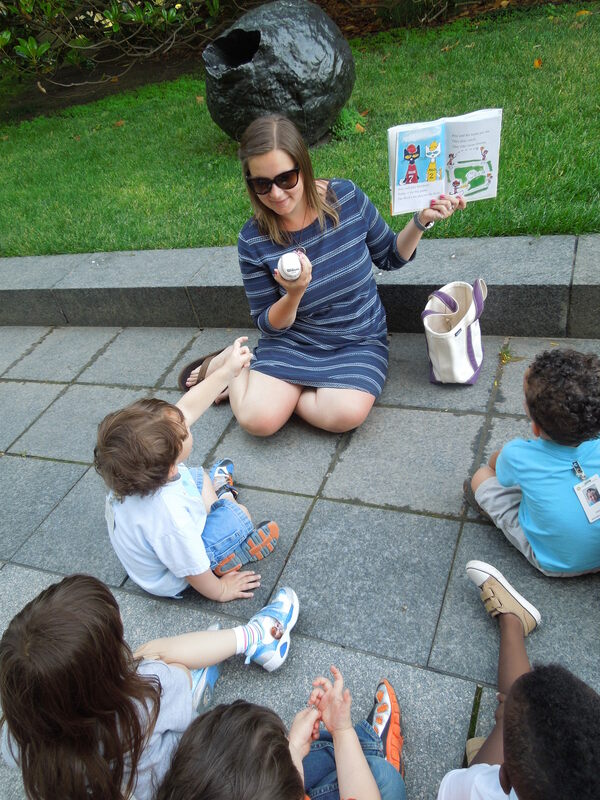 We also ventured to the Hirshhorn Museum after circle time and they were happy to find the spheres that we just learned about! What could you have done differently? What recommendations would you have for another teacher trying out this lesson? 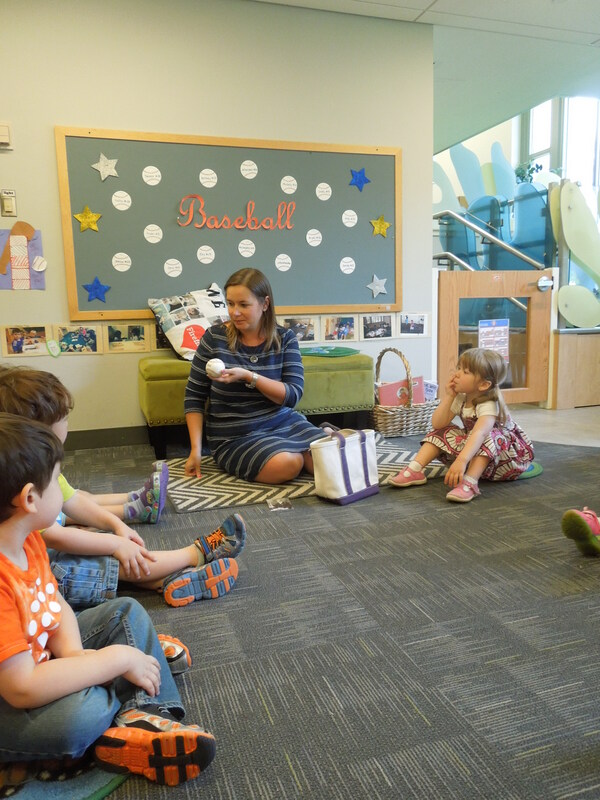 The children in my class seemed to really enjoy exploring what makes up a baseball. If I could recommend something to another educator, it would be to have more materials to explore. I had materials for the kids to touch, but splitting into small groups with more materials may help them relate to the objects a little more! Ashlee began by asking the group to look closely at the ball and think about its characteristics. The group was able to describe the ball as round and Ashlee introduce the group to the term sphere. She then had the group try to guess what might be inside. 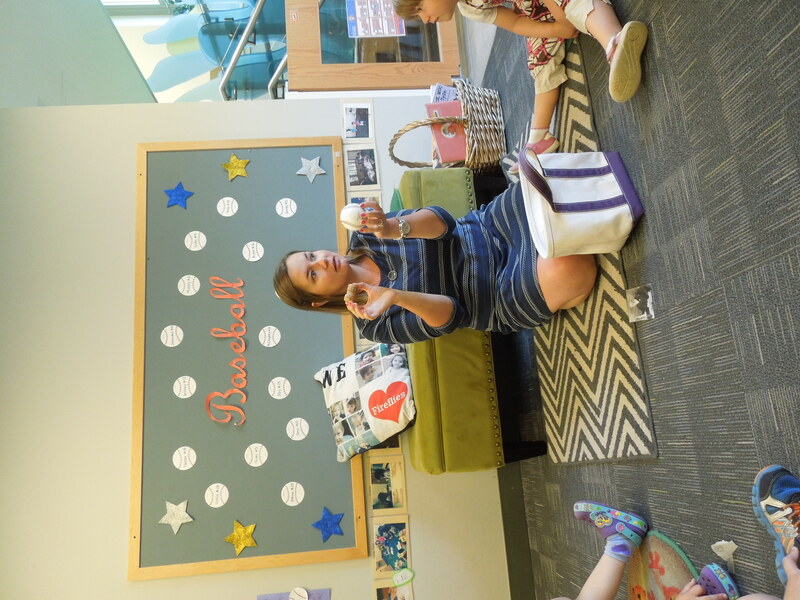 The class was very surprised to learn that baseballs have many different layers and at the very center is cork. After explaining that the next layer of the baseball is rubber she then began demonstrating how the rubber is then wrapped in string and lastly covered in leather. Ashlee then invited each child to take a turn wrapping the baseball in string. After a quick snack the class headed over to The Hirshhorn Museum and Sculpture Garden to see Spatial Concept Nature by Lucio Fontana. 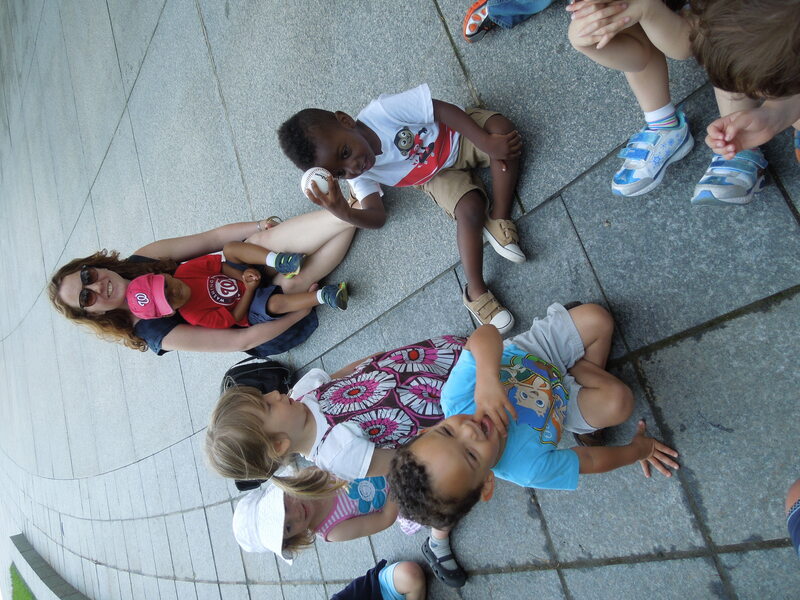 Ashlee began having the group compare the ball to the sculpture and reinforce the concept of a sphere. 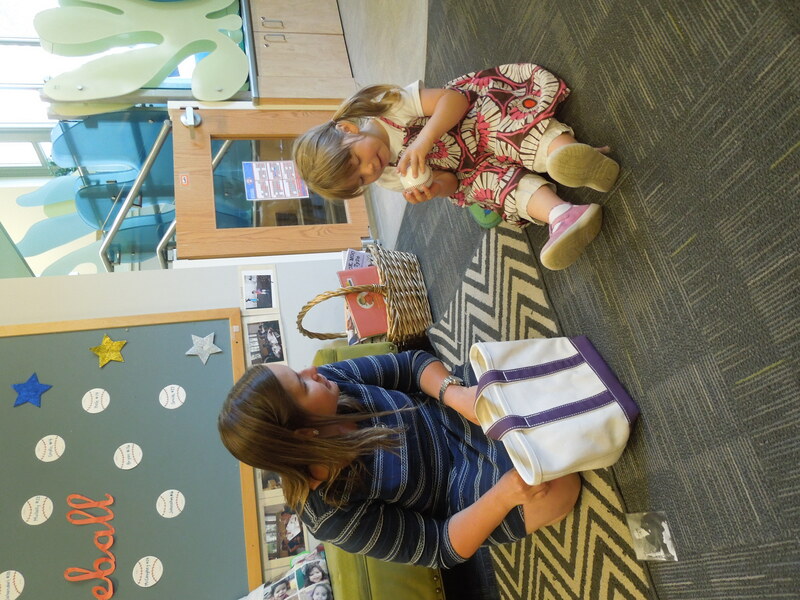 She then read the group Pete the Cat: Play Ball! by James Dean. Ashlee ended her lesson with a fun game that asked the children to use their imagination to pretend that the ball was something else. The game is called “This is What?” The child says “this is a ___” and the group responds with “a what?” You repeat this exchange three times and conclude with the group saying “ohhhh it’s ____.” The children had a fun time playing this game! One child claimed the ball was an apple and other made it a hat! This class had a wonderful time learning about baseball! Be sure to check back for our Teacher Feature next week! 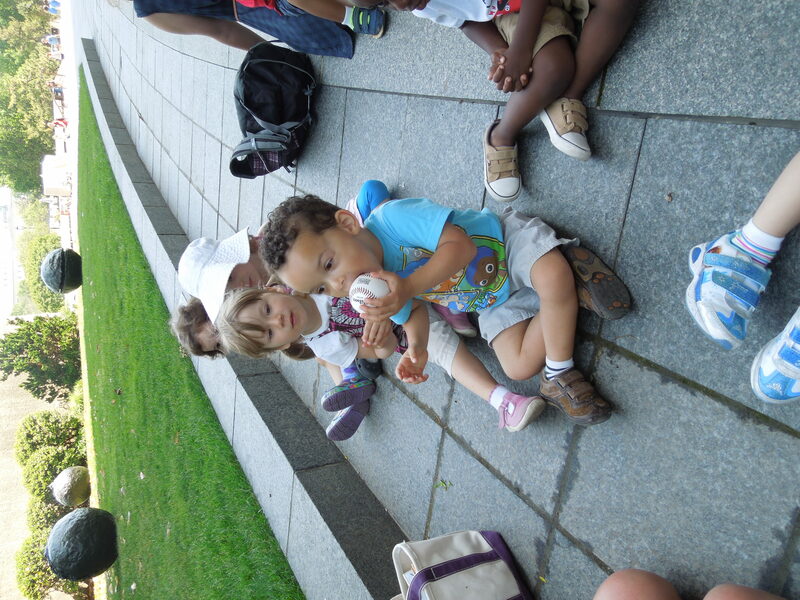 This entry was posted in Early Childhood Education, Museum Education and tagged baseball, children, Early Childhood, echolocation, learning in museums, Museum Education, museums and early learning, Object-based learning, teacher, Teacher Feature. Bookmark the permalink.